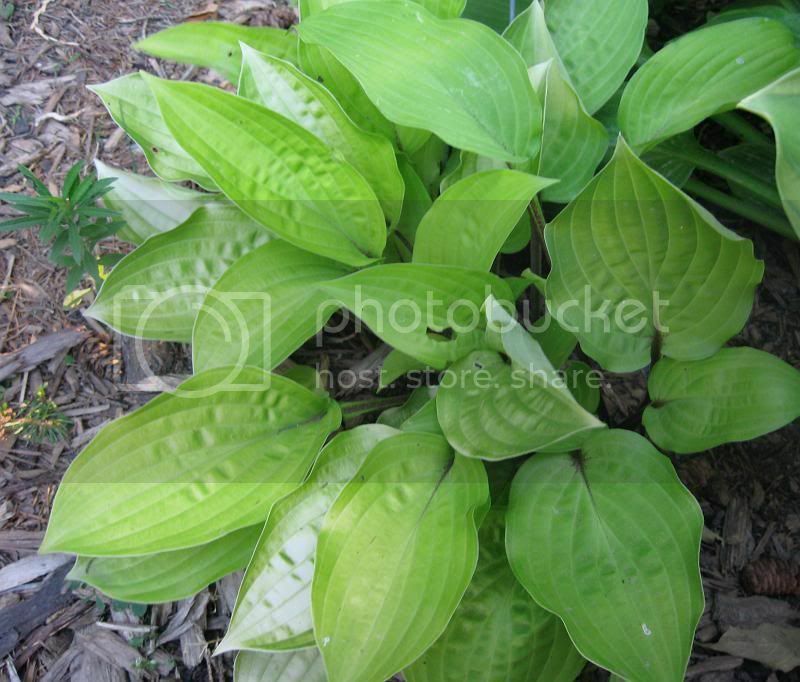 Hosta 'Fire Island' might not look that exciting in the pictures below, but it's a hosta that if you saw it in person you would be impressed. Especially in spring when it comes up bright, bright yellow. Something the pictures don't show is that this hosta has red petioles (stems) that creep up just slightly into the leaf. The petioles stay red all summer long, but the leaves do turn more green throughout the summer. 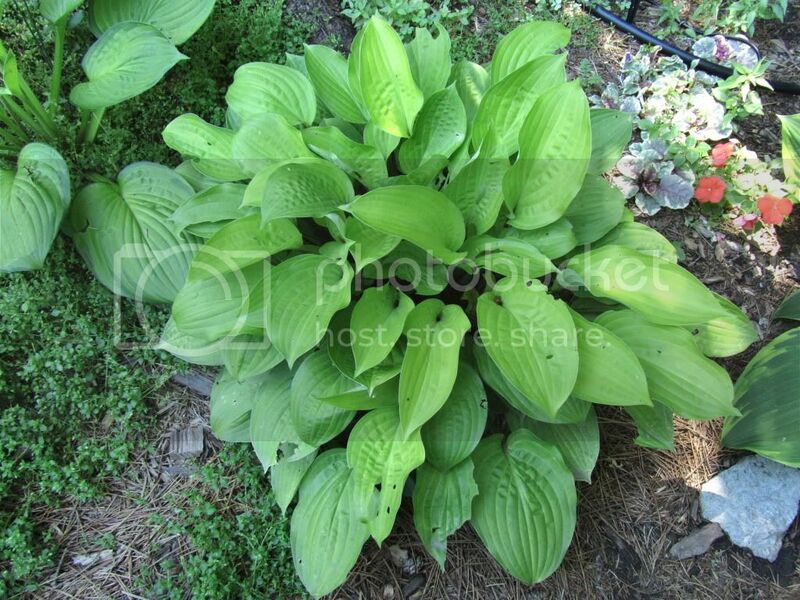 I have also found with mine, as you can see in the picture below, is that the leaves will bleach out if it gets too much sun.